Have an iPhone 7 and want to back up the data to the computer but don’t know how to do it? It is important to back up the data to other place as you can easily get the back after the data is lost or deleted. Are you thinking of how to back up iPhone 7 to computer? In this guide, we will show you how to easily perform this. Using iTunes, you can back up the entire data of your iPhone 7 to your personal computer. In case you lose the iPhone 7 data accidentally, you can always restore the backup to the iPhone. You can follow the steps given below. Step 1. Connect the iPhone 7 to your computer using the USB cable and open iTunes software. Step 2. Select “File” in the Menu bar and then select “Devices” from the various options shown. Step 3. Click “Back Up” to start backing up your iPhone 7 to the computer. Step 2. Under Menu bar, click on “Device” icon. Then, under “Settings”, click “Summary”. Step 3. 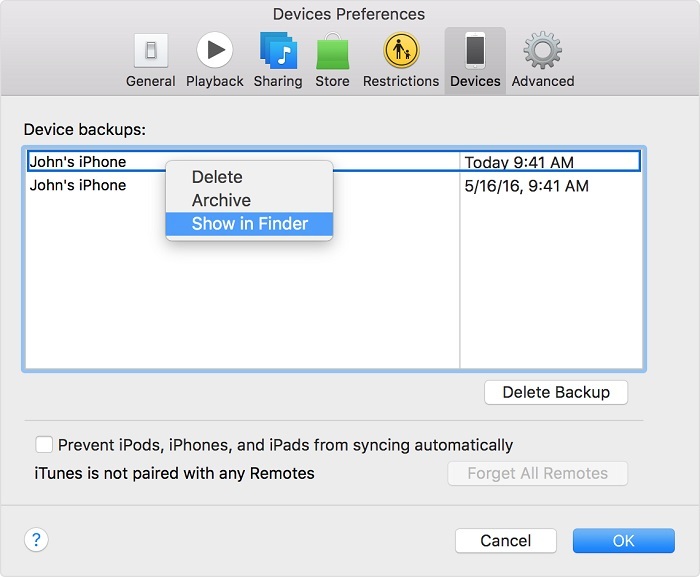 Select “This Computer” under “Backups” for storing the iPhone 7 backup. Step 4. 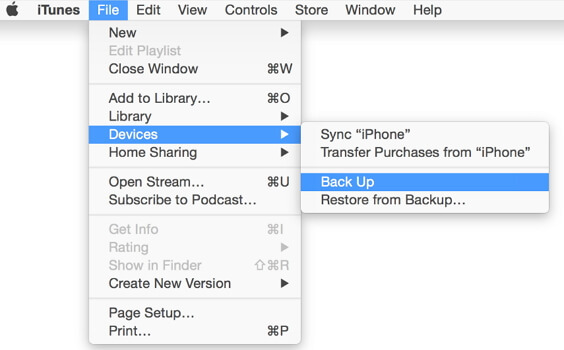 Click “Back Up Now”, which is on the right side to begin the backup process of iPhone 7 to the computer. 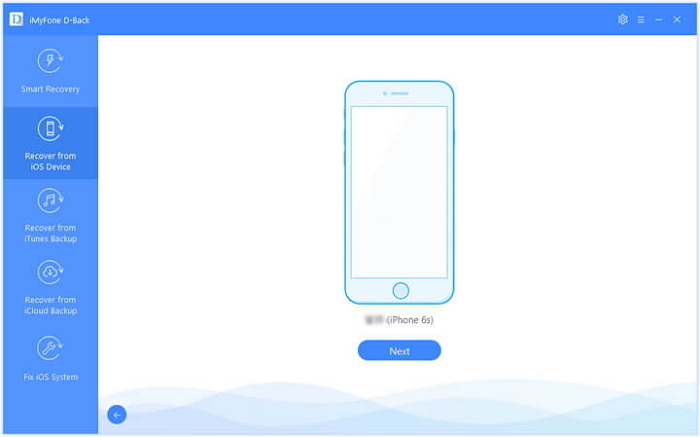 If you want to check if the iPhone 7 data is backed up or not, you can follow the simple steps given below. Step 1. In the Menu bar, click “Edit” and select “Preferences”. Step 2. In the next Devices Preferences window, click on the “Devices” tab. Step 3. You can see that the iPhone 7 backup is present there. Have you wondered how to backup iPhone 7 to computer without using iTunes? Apple devices have a distinct feature. You can back up the entire iPhone 7 data to a computer using iTunes. But there are many users who don’t have the habit of creating a backup via iTunes. If you are one of them, then you don’t have to worry because you can still make it without iTunes. There is an advanced data recovery tool called iMyFone D-Back that allows you to back up iPhone 7 to the computer. It is one of the popular and safest software for backing up the lost and existing data in an iPhone. Even with its numerous features, it remains easy to use and 100% safe to download and use. None of the data on your device will be at risk. Step 1.Open iMyFone D-Back on the computer and select “Recover from iOS Device”. Click on “Start”. Connect your iPhone 7 to the computer with the USB cable. Click “Next” when the software automatically detects your iPhone 7. Step 2.All the file types will be displayed in the next step. Choose all the file types to back up and click “Scan”. Step 3.When the scan gets over, all the available files will be displayed on your screen. Select all the files and click “Recover”. You will be asked to choose an existing folder or create a new one to store the iPhone 7 backup on your computer. Once you choose the folder, the entire data of your iPhone 7 will be backed up to the computer. The above two methods can come handy when you want to back up your iPhone to the computer. You can back up the data using iTunes software but the problem is you cannot view the data in the backup. You also have to restore the entire backup to your iPhone 7 in case you lose the data. This will replace the existing data on your device. 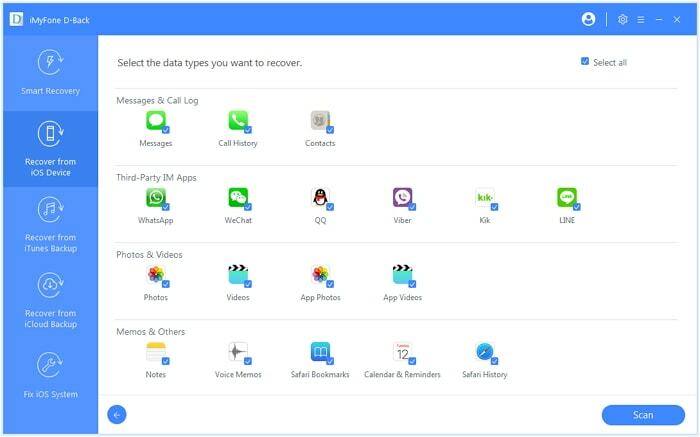 When you use iMyFone D-Back, you can easily back up the data even without iTunes. This professional tool also allows you to view the saved iPhone 7 data on computer. iMyyFone D-Back has been recommended by CNET, techradar, PCWorld, 9TO5Mac and other professional websites. When you search for how to backup iPhone 7 to computer, you must view all the methods given above in this guide. Check the reviews and then select the appropriate method based on your needs. You can leave your comments below if you have any query regarding the backup methods.